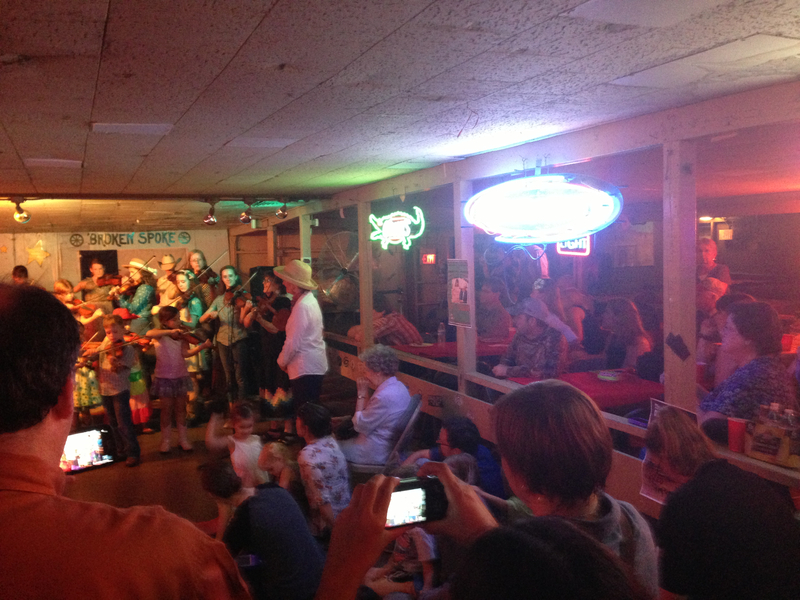 About 30 elementary age boys and girls and a half dozen adults – all fiddlers – tucked their instruments under their chins to perform some good old time string classics of folk and country music July 15 at The Broken Spoke. 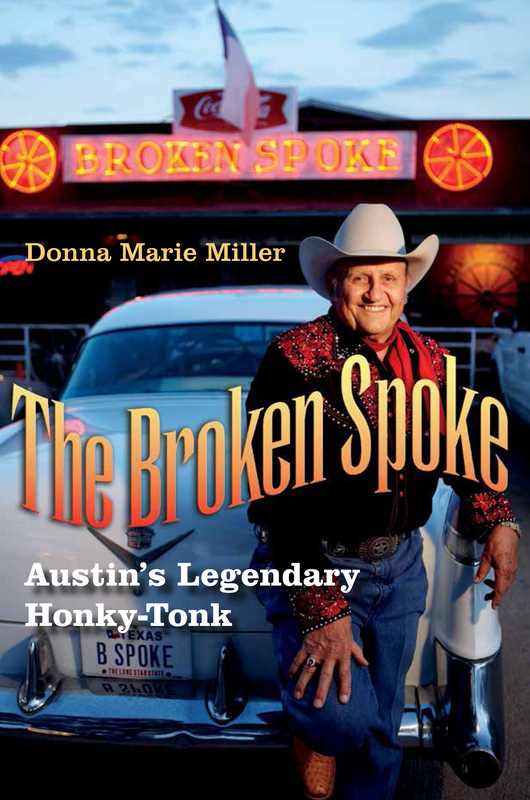 Mary’s dad, Oscar Butler, represents somewhat of a legend in West Texas music circles as he worked as a choir professor at New Mexico State University in Las Cruces, N.M. Butler put a violin under his daughter’s chin when she turned ten. Years later, she attended NMSU, but only from 1961 through 1962, before running off to San Francisco with two hippies, artist friend Chet Helms and her first husband, Leonard Soforo. “Chet, Lenny and I all decided to go to San Francisco. We had this old Chevy, but it broke down right outside Las Cruces. So Chet hitchhiked to Dallas and was picked up by the police. In those days, it was difficult to stay out of jail looking like a hippie,” Mary said. Mary and Leo Soforo made it as far as San Francisco where her husband took a job as a disc jockey that didn’t last long. Helms ended up in Dallas City Jail the same day that police arrested Lee Harvey Oswald for shooting President John F. Kennedy, Nov. 22, 1963. “We were all worried about Chet. Here he was sitting in the same jail as Oswald,” Mary said. Coincidentally, Dallas police eventually released Helms from jail sometime after Jack Ruby shot Oswald. Helms later met up with the couple in San Francisco, but Mary Soforo’s problems grew bigger. Leo Soforo, had mental problems that stemmed from years of heavy drug use, she said. Mary moved to Santa Fe, NM and married and divorced two more times after Soforo’s death and before she met Cleve Hattersley in Austin.